BRYAN EATON/Staff photo. 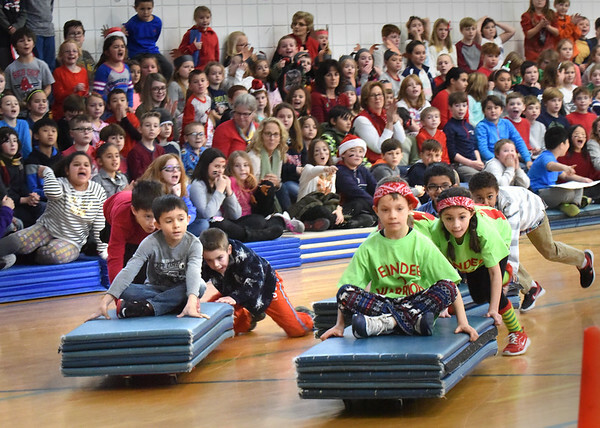 One team in the "reindeer races" at Salisbury Elementary School gets cheered on Friday afternoon. The races have become a popular tradition during the last day of school before Christmas vacation.